Facebook… Now a Mobile Company? Home / Blog / Facebook... Now a Mobile Company? Facebook... Now a Mobile Company? Trade in your hoodie for a suit and a lot changes – as Facebook learned following its controversial IPO this past summer. Wall Street forced the once-quiet company to become more vocal about its product and business development intentions, specifically through the quarterly release of earnings reports. Yesterday evening, shortly after releasing the 4th quarter earnings report, Mark Zuckerberg, Sheryl Sandberg and David Ebersman spent nearly an hour providing an inside peak into what’s next at Facebook. There are now 1.056 billion monthly active users on Facebook – an increase of 49 million over last quarter. At its current growth rate, Facebook is on pace to surpass the 1.1 billion mark in roughly three months. 193 million people access Facebook at least once a month across the United States and Canada. To put that into context, over half of the combined countries’ population visits Facebook every month (55.4%) and more than a third every day (38.8%). Outside of North America, Facebook’s biggest growth came from Asia. 28.2% of the total monthly active user base now resides in Asia (298 million). The numbers support Zuckerberg’s focus on mobile too. 680 million users access Facebook via mobile at least once a month. 157 million ONLY access Facebook via mobile (15% of the total user base). For the first time ever, there are more daily active users accessing Facebook on a mobile device than a desktop PC. Mobile allows Facebook to reach more people. Mobile fuels more engagement than desktop activity. Facebook makes more money from a minute of mobile activity than a minute of PC activity. 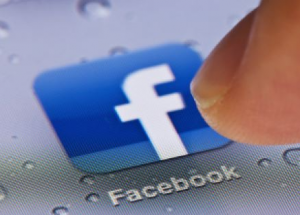 Don’t worry though – Mobile ads in the Facebook News feed haven’t hurt engagement. While mobile News feed ad inventory has increased 50%, Facebook has only seen a 2% decrease in the number of Post Likes. Zuckerberg warned shareholders to expect increased research and development costs in 2013, with special emphasis placed on aggressive investment in new products like Graph Search. He went on to say that, while Gifts and Graph Search could provide substantial returns on investment long term, for the next year at least, most monetization will focus on advertising. Facebook’s advertising strategy is working, with nearly 500,000 Pages having used Promoted Posts, of which 30% are new advertisers. What would you like to see Facebook focus on in 2013? Is Facebook a BUY or SELL? Want more information? Download the Facebook Q4 Earnings Report investor deck here.